Alec and his family live in their 1950’s detached property in Croydon, South London. 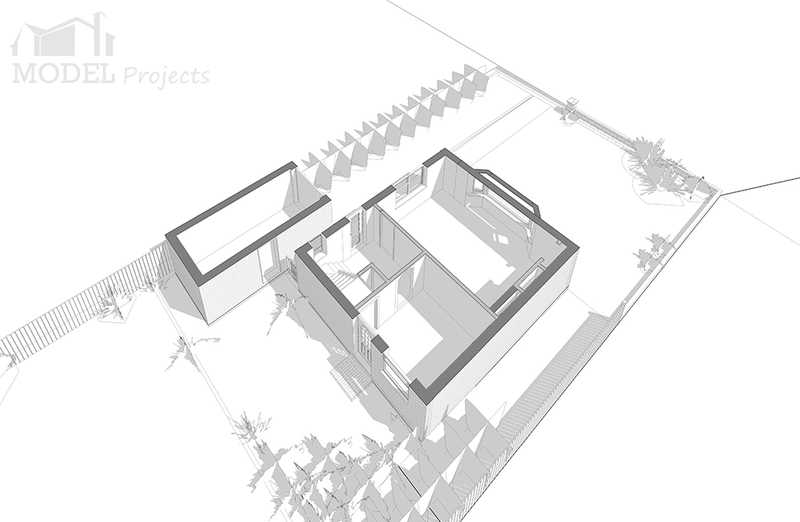 Their project involved the creation of additional living space and modernisation of existing accommodation. 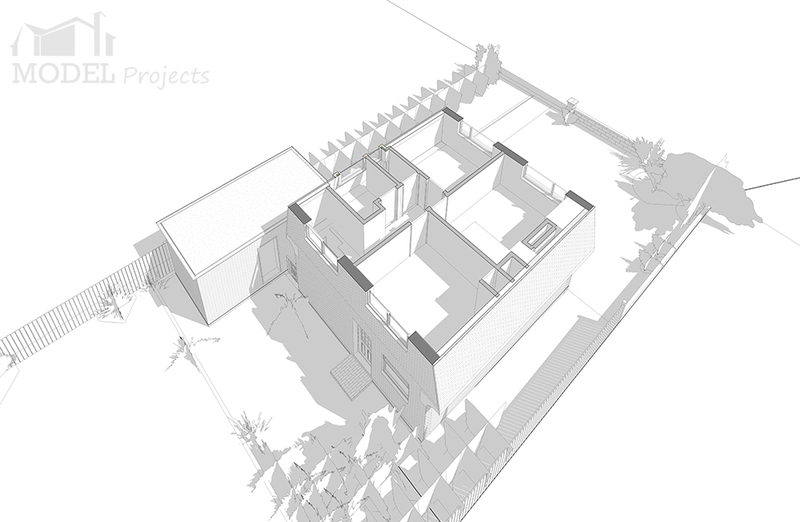 Model Projects designed a two storey extension on the side of the house and a full width single storey to the rear. Model Projects design brief was to include the re-arrangement of the ground floor and installment of a utility room, bathroom, study and second living room, with an additional bedroom to the first floor. The main entrance to the property was moved from the side to the front of the house. This created a better visual approach to the property and the new internal arrangement offered a better flow of space. Within the space of the side extension, we created a study, shower room, utility room and hallway leading into a family room with views and access to the garden. The original front living room remained unchanged. In the hallway the staircase was updated by using glass panels and timber to match the new flooring. The remaining space on the ground floor was occupied by an open plan dining area and a new large kitchen of Italian design. The first floor now contains a new large master bedroom created on the side extension, with windows on two aspects. A larger family bathroom was generated by joining the existing separate WC and the bathroom. 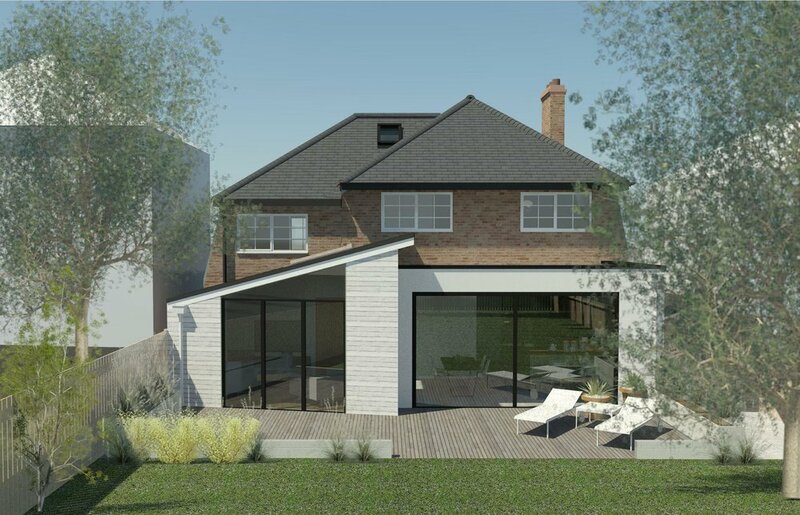 The key principle of the design is to match the original appearance of the front of the property with the two storey side extension; ensuring the roof form matches that of the house with a stepped angled side wall. The windows have followed the form of the original bay with the new brickwork matching the existing bricks. At the rear of the property, Model Projects decided upon a modern approach with large glazed walls and angled forms. Due to the width of the new rear extension the design team choose to break up the form with a flat roof to the kitchen, and an angled wall and roof to the family living space. A mix of materials was used to the rear including; timber cladding, white render and dark anthracite grey door and window frames. Another key element of the design was to open up the living spaces to the rear garden by the installation of large glass bi-folding doors in the kitchen and family room. A triangular window was designed above the doors in the family snug space. Through the clever use of rooflights more daylight was able to filter through to the centre of the dining space, creating a beautiful area to dine and entertain. The application was accepted under a Householder Full Planning Application with Croydon Council. One of the principal forms of the design was to meet the requirements laid down by the Council to ensure the snug room was angled at 45 degrees. 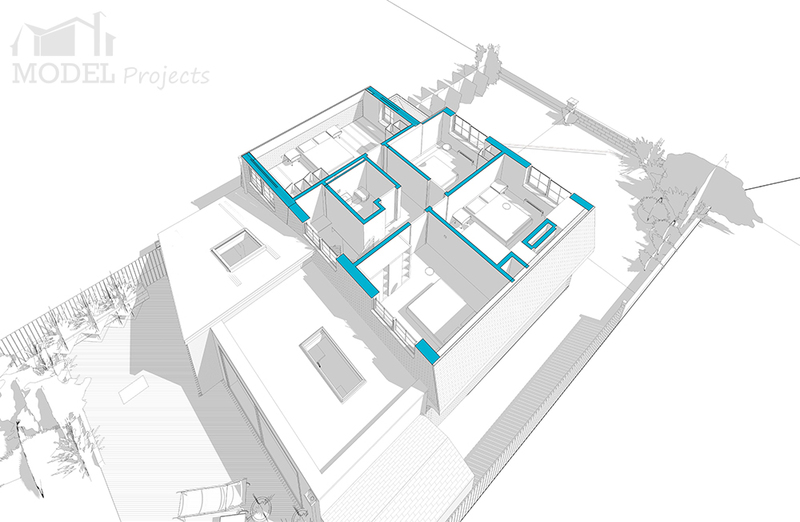 The additional space created by the two extensions doubled the internal floorspace of the house from 89m2 to 169m2. Model Projects were engaged as architects, designers & project managers for a side & rear extension, together with a complete internal refurbishment. They came up with a great design, brought t life by their proprietary technology. All the necessary approvals & consents were obtained. A quality builder was obtained from their panel of approved builders. The works proceeded seamlessly, delivered on time & to my expectations. We were supported throughout by James, Irakli & Ahad.